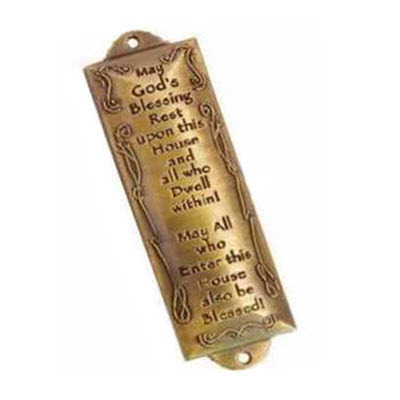 Brass mezuzah in brushed finish with words of blessing for all and raised swirl trim. May God's blessing rest upon this house and all who dwell within! May all who enter this house also be blessed!